The O’Jays – from left to right Eric Nolan Grant, Eddie Levert Sr. and Walter Williams Sr. – performed Aug. 12, 2018, at the Mann Center for the Performing Arts in Philadelphia. Kenny Gamble had written a song, but it wasn’t complete. He was stuck without a second verse, and he couldn’t quite get it. 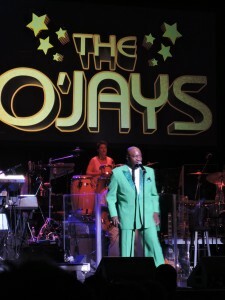 But The O’Jays were in the studio – Sigma Sound Studios at 12th and Race in Philadelphia – and ready to go. They had already laid down nine other tracks for an album as well as the background vocals to the final song and were anxious to see how the rest of it would sound. Gamble called for a five-minute break, left the recording booth and retired to a small back room at Sigma Sound to work on writing the second verse of the song. 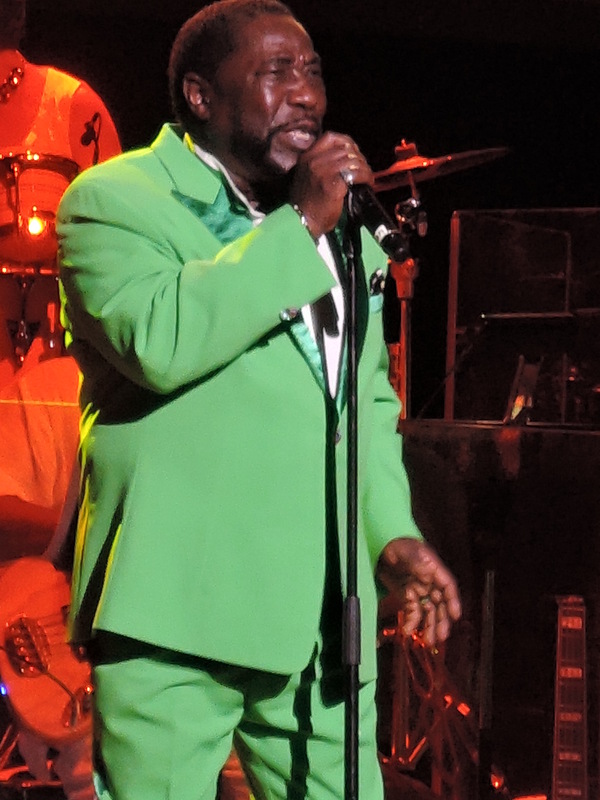 The O’Jays – Walter Williams, Eddie Levert and William Powell – thought that a couple of songs for the album had the potential to be something special. They had a technique they used with background vocals – they would double and sometimes triple the background vocals so that they would sound more powerful – and had recorded those first for the song. 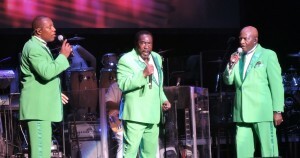 Original member Eddie Levert Sr. When it came to lead vocals, Williams and Levert – who shared lead vocals and sometimes double-lead vocals on some songs – each had a microphone and baffle so that their voices wouldn’t bleed into each other. 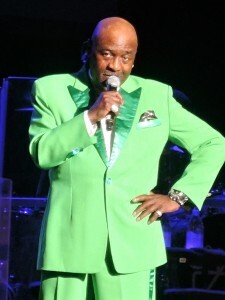 During the recording of the album, The O’Jays had introduced the idea of double-lead vocals to Gamble and Leon Huff, co-founders of Philadelphia International Records, and the producers liked it because they could better control the sound. So everything in the studio was set up and ready to go. Now, The O’Jays were just waiting on Kenny Gamble to finish writing the song. A few minutes later, Gamble came out and said he had it. He gave the second verse to The O’Jays and they went back into the recording studio to learn it. By 1972, Williams had already learned a valuable lesson about singing from his friend Stevie Wonder, a lesson that he was anxious to employ now for Gamble and Huff. “He told me, ‘You can sing a song and you can sing it perfect. But if the spirit doesn’t live in it, you have nothing.’ And he’s absolutely right about that,” said Williams. “It didn’t dawn on me that was the case until I started to experience it. You know you can even sing bad notes, flat notes, but if the spirit lives in it, it’s a good song. Original member Walter Williams Sr.
That’s what The O’Jays did with the song they were recording for Gamble and Huff that day in 1972. It was from their hearts, their souls, and they recorded it with such spirit that it would become the biggest hit the group would ever have. The song was “Love Train,” and it would go to No. 1 on both the Billboard Hot 100 singles and the Billboard R&B Singles in early 1973. 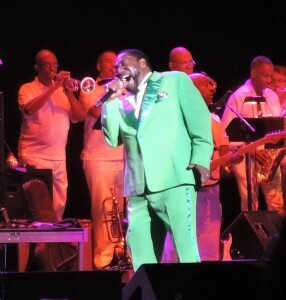 It would also be the final song that would complete The O’Jays’ first album for Philadelphia International Records, “Back Stabbers,” a breakthrough album for the group that would be released in 1972 and hit No. 10 on the Billboard Pop Albums chart. 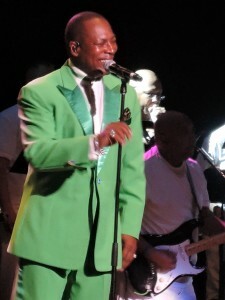 Eric Nolan Grant joined The O’Jays in 1995. 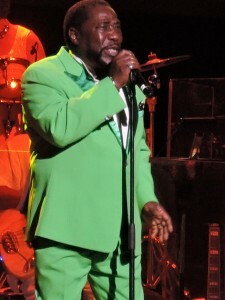 Williams believes the combination of the quality songwriting, the expertise of Gamble and Huff and the addition of Charles “Cholly” Atkins, a choreographer who taught The O’Jays the dance steps to go along with the songs, were the perfect elements that were added to the The O’Jays’ innate talent. And that was the recipe for the group’s success in the 1970s. As for the “Back Stabbers” album, Williams said it’s the one that put The O’Jays on the map, both in the United States and internationally. More than 45 years later, it still a treat to see The O’Jays sing “Love Train” live as they did Sunday, Aug. 12, at the Mann Center for the Performing Arts in Philadelphia. It’s as great a song today as it was when they first recorded it in 1972. 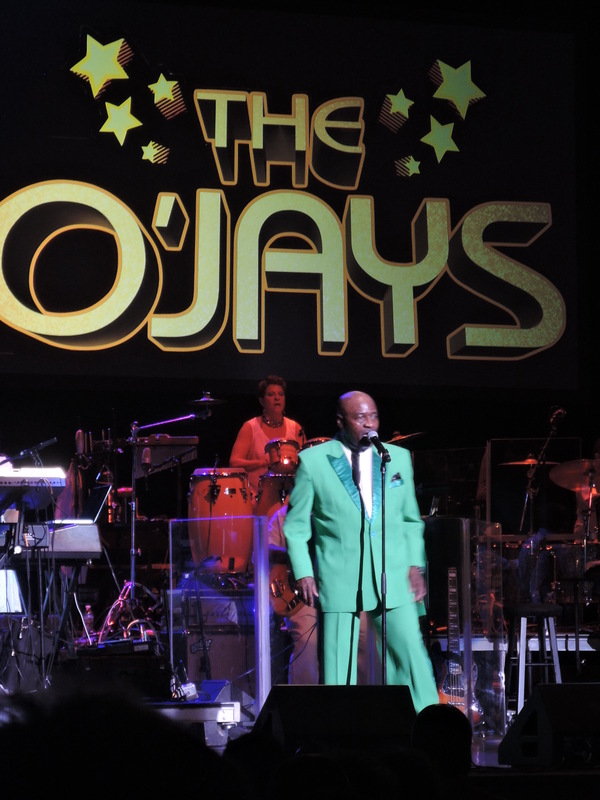 And The O’Jays still sing it with just as much heart and Philly soul as they did at Sigma Sound Studios in the early stages of what we now know as The Sound of Philadelphia. We got on board the “Love Train” then and we’re still riding it now.